Thanks for your donation, Ronald McDonald Charities! Morgan offers a comprehensive early childhood development program. Primary students, in grades 1-3, are divided by grade levels. They are grouped and re-grouped by skills in reading and math, according to abilities and need. Some intermediate teachers specialize in math, social studies, science and language arts. They utilize curriculum guides, with flexibility to design instruction to meet individual or group needs. Besides classroom teachers, there are additional teachers for art, humanities, vocal music, speech/language, physical education, library/media center and gifted-talented-creative programs. Morgan offers special-needs instruction and facilities for MMD/FMD, a deaf educator and full-time interpreters for the hearing-impaired. Morgan Elementary will host a Kindergarten Transition for parents of children who will be entering kindergarten in fall of 2019 on Friday, April 19. Parents can attend the morning session from 10:00 - 10:30 a.m. or the afternoon session from 1:00 - 1:30 p.m.
For more information, please contact the Morgan Elementary office at 270-444-5760. 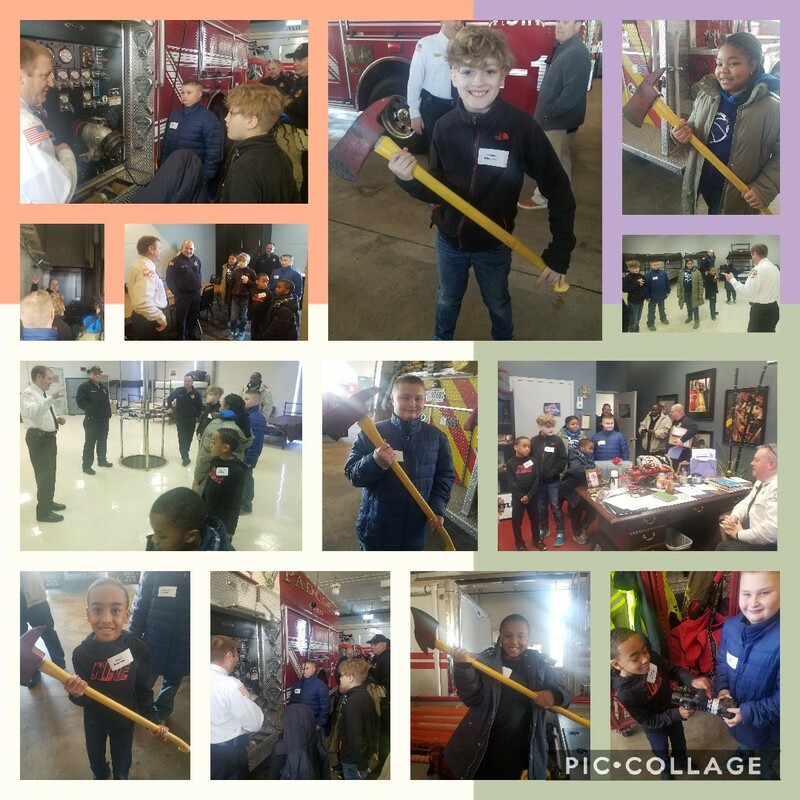 Students from Morgan Elementary that have shown an interest in the Fire Service as a possible career pathway visited Paducah Fire Station #1 Monday. "They learned that there is more than just fighting fires that make up our careers in the fire service," said deputy fire marshall April Tinsman. "We introduced them to all the aspects of the job that give us the opportunity to serve our community in on a daily basis. They listened intently and asked good questions!" Three Morgan Elementary School students have earned state honors, including two state champion titles, in the Kentucky Council of Teachers of English / Language Arts writing contest. 3rd grader Jaden Powell was named state champion in the Poetry division, grades K-2, for "Fortnite" 3rd grader Jaylin Bellamy earned the state championship award in the Opinion Writing division, grades K-2, for "Dear Christopher Paul Curtis.” 3rd grader Abigail Kilburn was named state runner up in the Narrative division, grades K-2, for "The Spelling Bee." The three students entered the contest last spring as 2nd graders. Their pieces will be published in this year's Kentucky English Bulletin. Congratulations! Alex Hammonds, Morgan Elementary School 5th grader, has been awarded the Daughters of the American Revolution Youth Citizenship Medal for his demonstration of outstanding patriotism, honor, service, courage and leadership. He is the son Amber Pitt and Philip Hammonds. Nominated by Morgan Elementary, Hammonds received a medal and certificate from Cindy Byrd, member of the Paducah chapter of the DAR, for his contributions to his school and community. Two veteran educators with the Paducah Independent School district have been selected as assistant principals at Morgan and Clark Elementary Schools. Erin Sauders, who has served as assistant principal at Clark Elementary for eight years, has been selected to serve as Morgan Elementary assistant principal. Nick Dietrich, who taught at Clark and McNabb schools for 14 years, has been selected to serve as assistant principal at Clark Elementary. Fifth graders from Clark Elementary. McNabb Elementary, and Morgan Elementary capped off a year-long, student-led Pen Pal Project at Paducah Middle School on Tuesday, May 15. Throughout the school year, students from Paducah Public Schools’ three fifth grade classes have written letters back and forth to each other, allowing them to get to know their future classmates before they make the transition to middle school. Last week, project leaders Myrikal Boyd (McNabb), Paige Dennis (Morgan), and Russell Hancock (Clark) coordinated getting-to-know-you activities and a large scale team building challenge event during which 36 teams of six engaged in friendly competitive games. Prizes and gift cards, donated by parents and Robyn West of Kids Co. 1, were awarded to students for several winning categories. Ice cream was provided by the Paducah Bank WOW Wagon. Current Paducah Middle School students Maci Robinson, Joseph Reeves, and Emmy Seaton gave the incoming sixth grade class pointers on how to best handle the upcoming transition to a new building and new academic schedule. The event was deemed a success by teachers and administrators who noted animated conversation among new-found friends in the Class of 2025. To see a photo of the PTHS class of 2025, click "Read More". Dr. Mark Fenske has been selected to be the new principal of Morgan Elementary School by the Morgan Elementary School- Based Decision Making Council. Dr. Fenske will replace retiring principal Vicki Conyer, who served has served as Morgan’s principal since 2009. Dr. Fenske has worked in Illinois public schools for 22 years. He began his career as an elementary school teacher before becoming an administrator in 2006. Dr. Fenske has served as principal at Hillsboro Junior High School in Hillsboro, Illinois, since 2009. Dr. Fenske earned a Bachelor’s degree in Elementary Education from the University of St. Francis. He earned a Master’s degree in Administration from Governor’s State University and an Educational Doctorate in teacher leadership from Walden University. "I am extremely grateful for her compassion and ferocious protection of one of her students." On May 4, 2018, a 7 year old student from I believe Morgan Elementary in Paducah, KY was injured while at The Nashville Zoo. The child was visibly upset and injured upon my arrival to his side. Despite our best efforts at calming him, the only person who could ease his fears was his teacher, Rita Crouch. Not only did Mrs. Crouch calm and comfort the child, but she never left his side even for a second unless the child approved it. 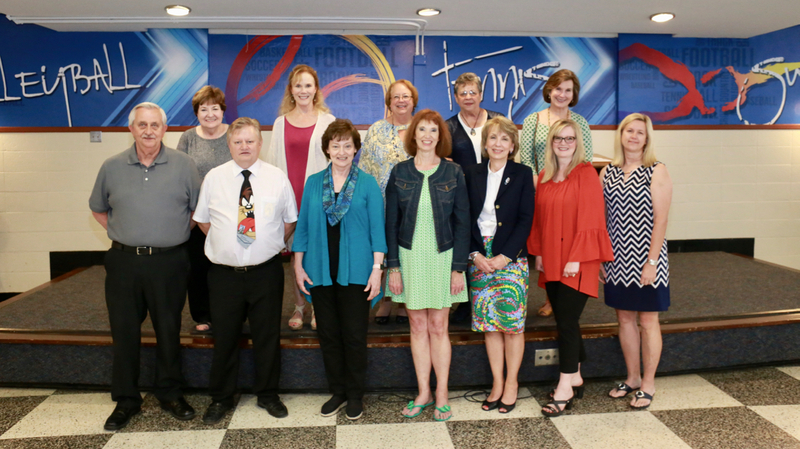 Sixteen Retirees with Over 375 Years of Service were honored at the district staff appreciation dinner on May 1. "It is a special calling to work as a teacher or staff person in education," said Superintendent Donald Shively. "There is no greater love than to give your life in service to others. Thank you for not only impacting lives, but changing lives." Retirees from Clark included Brenda Cantwell, Jennifer Hoffman, and Cindy Sharp. Retirees from McNabb included Margaret Kaltenbach and Brenda Riley. Retirees from Morgan included Vickie Conyer, Lynn Cook, and Debbie Peck. Retirees from Paducah Middle included Rosie Meredith. Retirees from Paducah Tilghman included Ruth Baggett, David Cissell, Susan Hancock, Michael Holland, Harolyn Rasche, and Ruthie Wiles. Retirees from the Central Office included Jean McElmurry. 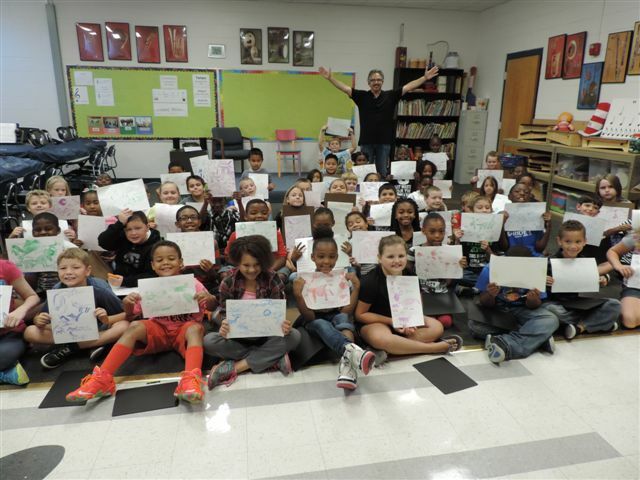 Paducah, KY - April 24, 2018 – Paducah Public Schools has been honored with the Best Communities for Music Education designation from The NAMM Foundation for its outstanding commitment to music education. As part of our effort to hire a new Morgan Elementary School principal, we would like get your input and feedback on what criteria are important to you when selecting a principal. A survey has been prepared for you to take electronically on any PC or mobile device. To take the survey, click here. Please note that your responses will be confidential and you will only be able to take the survey once. Thank you for choosing to participate in this survey and provide us with the feedback we value to make the best decision in hiring the next principal for Morgan Elementary. There will be a special meeting of the Morgan Elmentary SBDM Council at the Morgan Elmentary library Monday, April 16, 2018 at 3:30. To see the agenda, please click "read more". 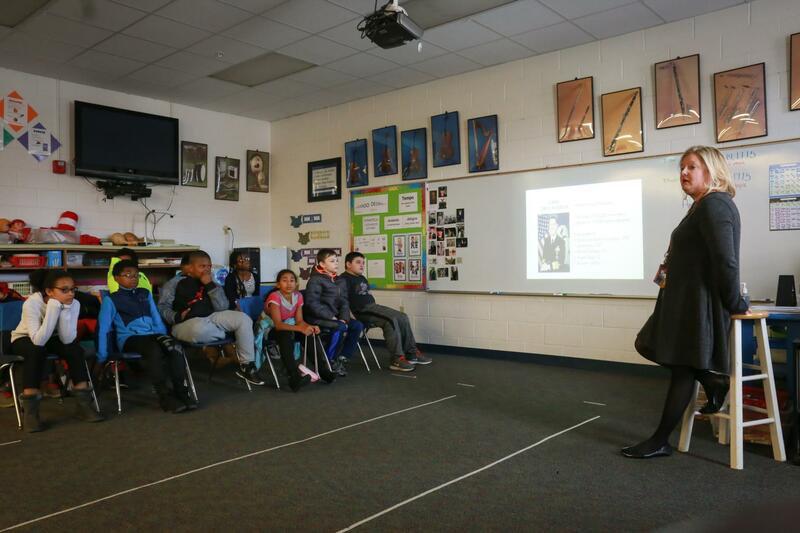 The National History Day organization offers year-long programs that engage over half a million elementary, middle, and high school students from around the world in conducting original, independent research on historical topics of interest. Students research topics of their choice, using primary and secondary resources. Students may compete in one of five categories: documentary, exhibit, paper, performance, or website. All competitors write process papers and compose annotated bibliographies. At all levels of competition, students present projects and are interviewed by a panel of judges. Kindergarten students who will be attending Morgan Elementary for the 18-19 school year should attend kindergarten registration. This applies to children who will be five years old on or before August 1, 2018. Pre-egistration will take place on Friday, April 27, 2018 from 10:30—11:00 a.m. or 1:30—2:00 p.m.
Current physical, eye and dental exams. If you have any questions, please contact the school office at 270-444-5760. Returning Students are not required to attend pre-registration. 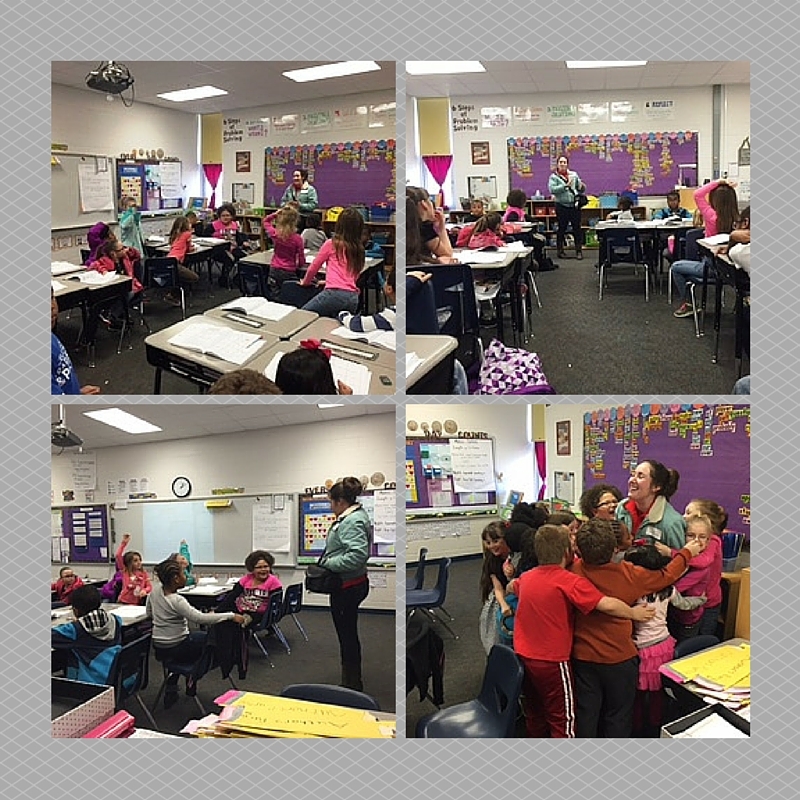 Fifth grade GTC leadership students from Clark, Morgan, and McNabb recently attended a workshop at the 4-H Center. The students participated in activities to enhance leadership skills. This was the first of three sessions, with additional sessions planned in February and March. For the last 10 years, the Downtown Kiwanis Club of Paducah has encouraged reading in elementary schools through its "Read to Ride" program. Rewarding readers with bicycles, the program made the first of two bike giveaways this year at Morgan Elementary School on Friday. As we enter the time of year when illness is more common, remember that Baptist Health Clinics are available at each school to serve our students, faculty, and staff. Check with graphic below to see the clinic schedule at each school. The schedule is also available as a download if you click "Read More". The annual essay contest sponsored by the Paducah-McCracken County NAACP in memory of Dr. Martin Luther King, Jr. is now open. The contest is open to all students in Paducah and McCracken County in grades kindergarten through 12th. The theme this year is "Addressing the Issues of Today". All entries are due by December 18, 2017. Winners will be recognized on Sunday, January 14, 2018 at Paducah Middle School. For more information, click "Read More". Fifth grade students (Front Row L-R) Damien Lewis, Levi Brown, (Back Row L-R) Krystal Dyson, and Timmy Hornbeakrepresented Morgan Elementary at First District Honor Choir on Thursday, November 16, 2017 held at Murray State University. Way to go! Do you know anything about the person your elementary school was named for? Chances are you don't know very much about your school's namesake - maybe that the person was a teacher or principal or a mayor or even a president. But Chris Sheffer is working to let students know about Emma Morgan. 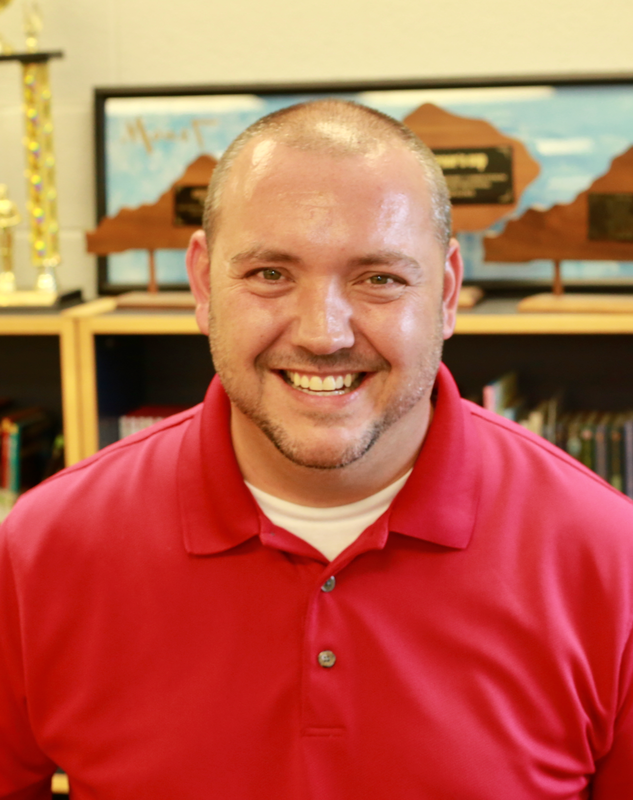 Sheffer is assistant principal at Morgan Elementary School in Paducah, and last summer he started thinking of ways to make the name of his school relevant to the students. "We've got plaques in the building that tell us who it's named after, but I really wanted to know who she was," he said. "So I just started doing some research - I'm a member of ancestry.com - and I started looking her up. One thing led to another, and I found that she was buried in Oak Grove Cemetery. So I went over and found that she didn't have a headstone." Morgan Music Class Studies Miltary Service Branches for "Composer of the Month"
In honor of our veterans, this month's "Composer of the Month" is the branches of the Armed Forces. For each branch of military service - Army, Navy, Air Force, Marines, and Coast Guard - students are learning about the history, fleet, officers, the band, and branch song. The students have a bulletin board in the hall they are creating as they learn about each branch. Three district music teachers were honored at the First District meeting of the Kentucky Music Educators Association. Paducah Middle School will host a 5th to 6th Grade Transition Night for parents and current fifth grade students on Thursday, May 18, 6:00 p.m. at Paducah Middle School. 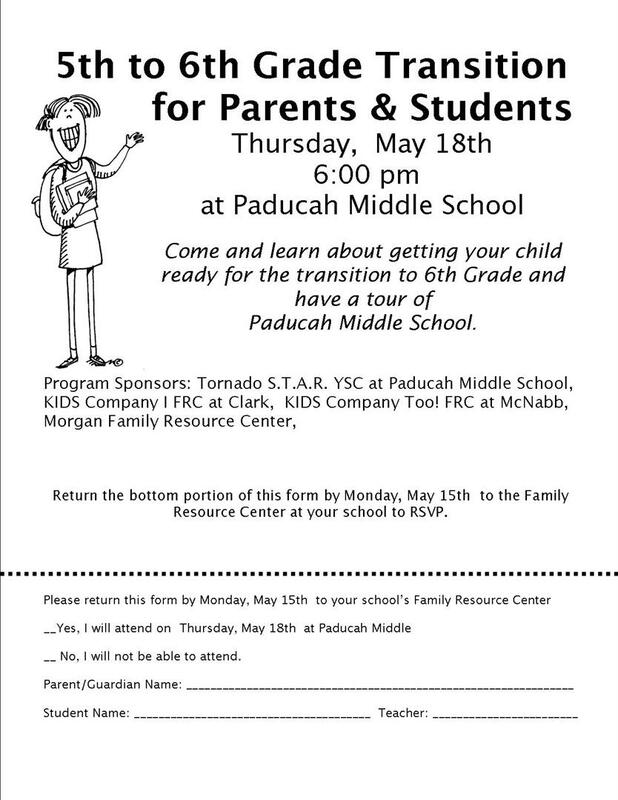 Parents of 5th graders and students will have the opportunity to tour Paducah Middle and learn about how to prepare for the transition to middle school. To RSVP, return the form below to the Family Resource Center at your school or RSVP via e-mail to Joy Spear. Jae’Trell Reed, Morgan Elementary School 5th grader and son Carla Reed, has been awarded the Daughters of the American Revolution Youth Citizenship Medal for his demonstration of outstanding patriotism, honor, service, courage, and leadership. 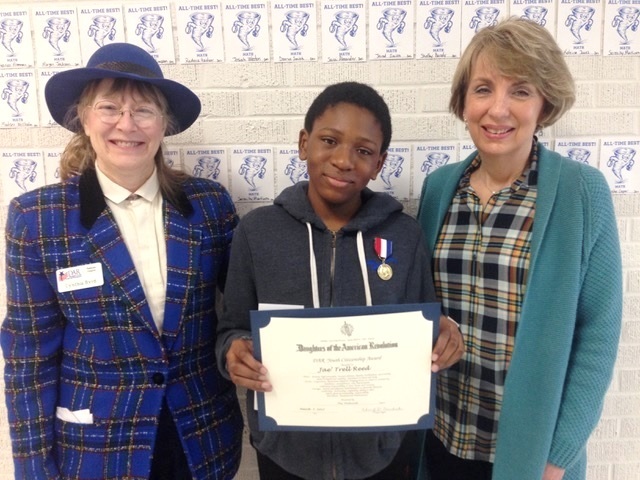 Nominated by Morgan Elementary, Reed received a medal and certificate from Cindy Byrd, member of the Paducah chapter of the DAR, for his contributions to his school and community. Reed is a member of Morgan’s Student Wellness Committee, participates in the school’s Young Men’s Leadership Group, and sings both the 3rd-5th grade and honor choirs. He is a member of Greater Lincoln Heights Missionary Baptist Church. Photo: DAR representative Cindy Byrd presents Morgan Elementary School 5th grader Jae’Trell Reed with the DAR Youth Citizenship Medal. Pictured are DAR representative Cindy Byrd, Reed, and Morgan Principal Vicki Conyer. 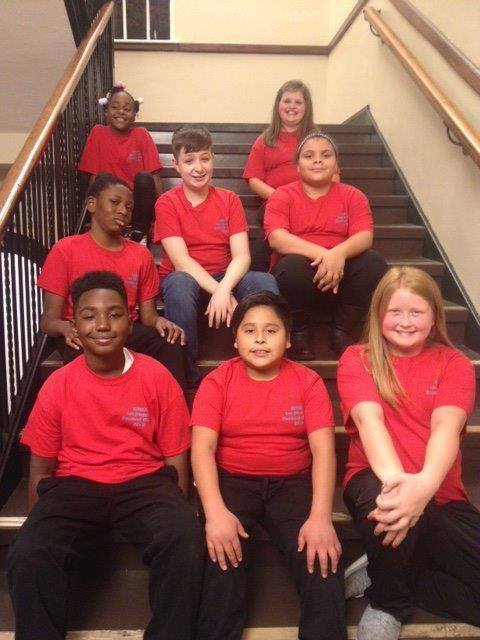 The following students represented Morgan Elementary School at the First District Honor Choir Music Festival at Murray State University on Thursday, November 17. 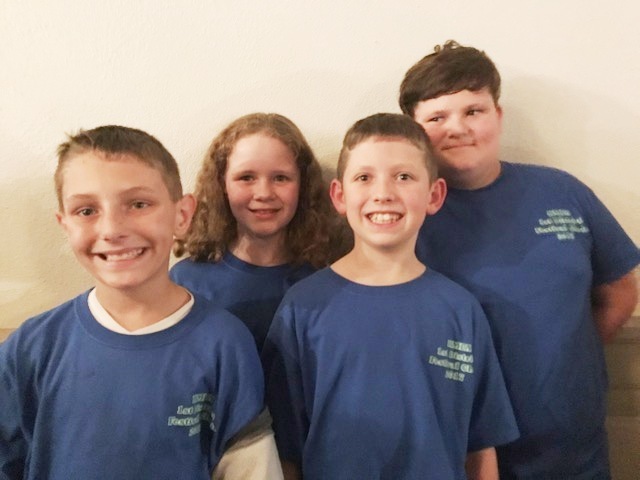 They spent the day rehearsing with 200 other students from Region 1 and gave a free performance that evening to parents and guest in Murray State's Lovett Auditorium. 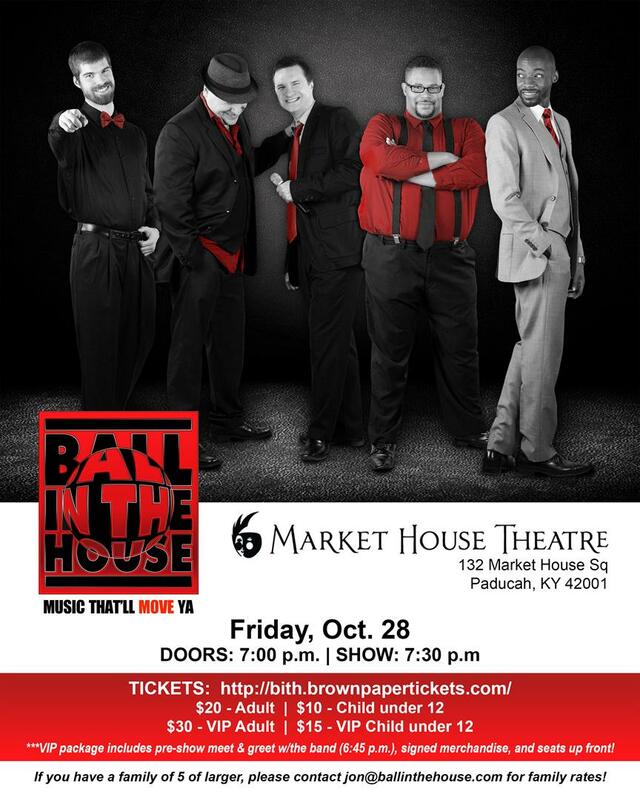 The Morgan Elementary choir is singing with the group Ball in the House on their opening number next Friday night, October 28, at the Market House Theater. Tickets are $20 for adults and $10 for students if you'd like to come hear our students and support Easter Seals at the same time. 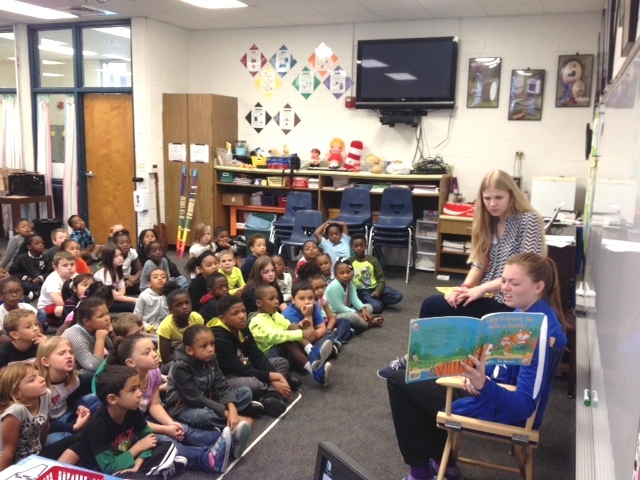 PTHS Speech team members Reagan Davidson and Anna Shelton visited Morgan Elementary first graders Friday. Reagan and Anna read stories to the students, worked fall Mad Libs with them, and spoke to them about the speech team at PTHS. Ronald McDonald House Charities presented a donation to Morgan Elementary School that will allow the third grade to attend the Paducah Symphony Orchestra presentation of “Peter and the Wolf” on November 4. Music teacher Kim Davidson wrote the grant for the donation. In addition to attending the concert, students will also be able to attend an “instrument petting zoo” before the concert where they will be allowed to sit in the performers' chairs, touch and play the instruments, and talk with the performers. Pictured left to right: Brittany Riley, third grade teacher, Amanda Farley, guidance counselor, Michael Love, Jr., (Ronald McDonald House Charities), Kim Davidson, Music teacher, and third graders from Morgan Elementary School. As part Morgan Elementary's Core Essentials character education program, they are hosting "Wear the Color Wednesday". Their color for the month is of August is yellow, which represents the Core Essential of Obedience. 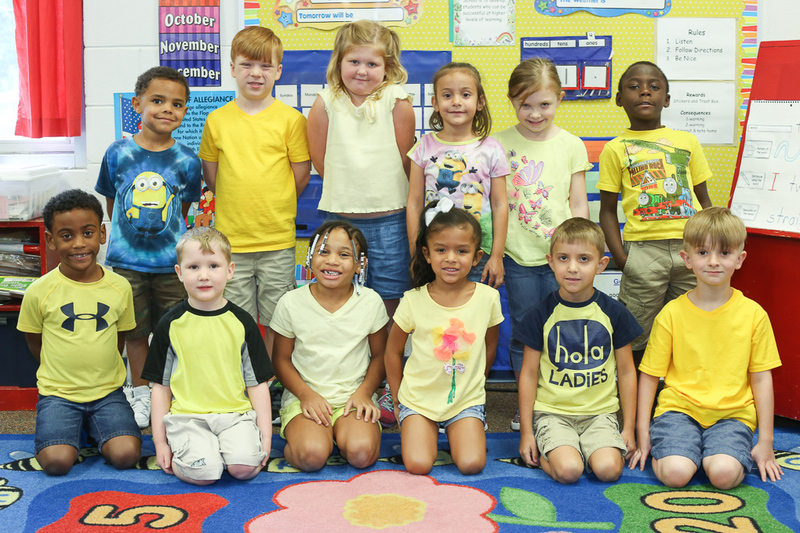 Students, faculty and staff are encouraged to wear any shade of yellow on Wednesdays. Kindergarten: Monday, August 1 , 10:00 a.m. - 2:00 p.m.
PTHS volleyball will offer a free volleyball camp for rising 6th grade and 7th grade girls. The camp will be at Paducah Tilghman High School June 20 - 24 from 4:00 p.m. to 6:00 p.m. 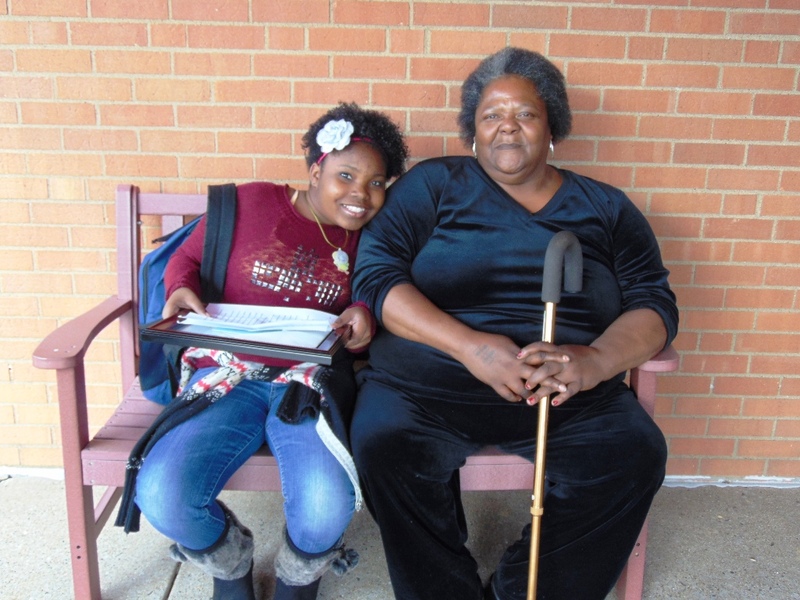 Registration will take place on site Monday, June 20, at 4:00 p.m.
Garnett Wins Regional Grandparents' Essay Contest. Morgan fifth grader Talaya Garnett won the Morgan Elementary Granparents' essay contest and also won the regional competition. Congratulations! This contest was sponsored by AARP and the Kentucky Retired Teachers Association. Talaya received her award on March 17 at the First Christian Church. You can read Talaya's essay on the Morgan Writer Weebly page here. The collected works of Morgan Elementary students are available online a the Morgan Elementary Writers page. The collected works of Morgan Elementary students published here were developed in their 2015-2016 "special area" Writing classes with Ms. Carol A. Withrow, NBCT - Literacy. * The K-5 classes engage in writing sessions based on Lucy Calkins' Units of Study for Writing. Paducah, KY - Sierra Sharp, Morgan Elementary School 5th grader, has been awarded the Daughters of the American Revolution Youth Citizenship Medal for her demonstration of outstanding patriotism, honor, service, courage, and leadership. Nominated by Morgan Elementary, Sharp received a medal and certificate from Cindy Byrd, member of the Paducah chapter of the DAR, for her contributions to her school and community. She is the daughter of Samantha and Edward Sharp. 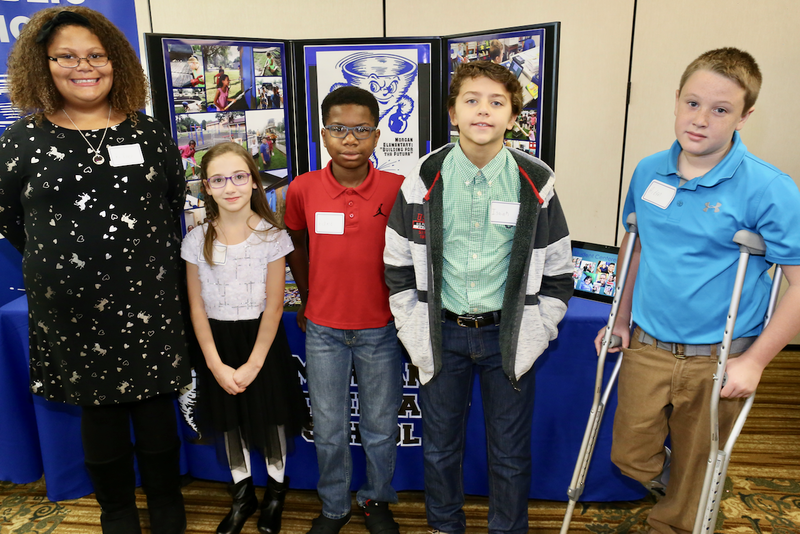 Morgan Elementary School students have placed among the top three writers in the state in the Kentucky Council of Teachers of English / Language Arts statewide writing contest. Their pieces will be published in the Kentucky English Bulletin later this year. Alison Abbenhaus from VUE Magazine came to interview Ms. Free's fourth grade class at Morgan Elementary for an upcoming issue. While she was there, the class had a Q&A about her work and VUE magazine. Two of the state's best public school districts are right here in western Kentucky, according to a recently released list from Pittsburgh-based Niche.com, which gathers and analyzes school data across the nation. The site ranked Murray Independent Schools as the fourth best in Kentucky with Paducah Public Schools sixth best. 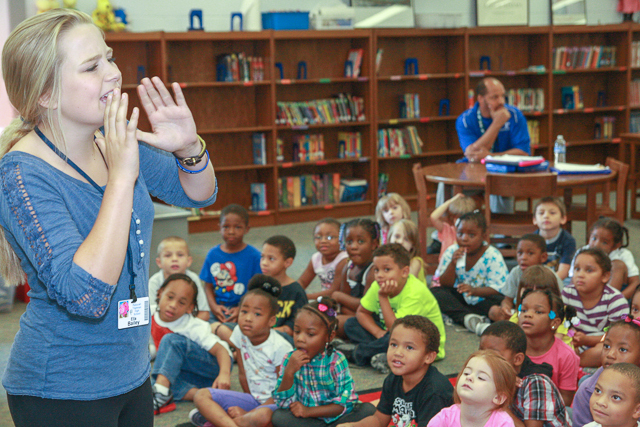 The Paducah Board of Education got a peek Monday evening into the biggest successes and challenges at the district's three elementary schools, Clark, McNabb and Morgan. All in all, the schools had plenty of good news to share with the board, but also came prepared to talk about their biggest opportunities for improvement. "I told you last month that we've made some instructional breakthroughs along the lines of using data to drive instruction, implementing effective intervention processes and also enrichment processes for kids who are already at grade level or above," Assistant Superintendent Will Black told the board. "Our mission this year is really to standardize those improvements." Congratulations to Morgan fifth grader Chris Jackson for meeting his summer reading goal! His name was entered into a drawing for the summer prize, a Kindle Fire. You can see the October newsletter for Mercy Health Clinic here. You can see the newsletter for Mercy Health Clinic here. 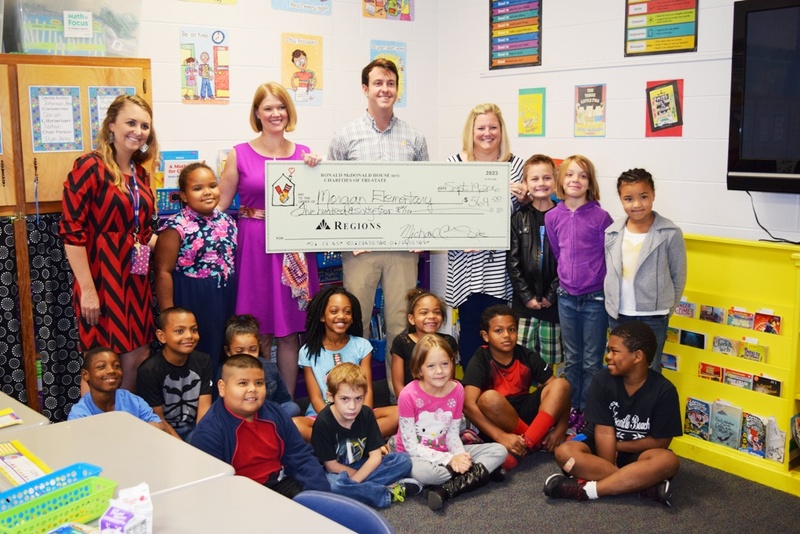 (Paducah, Ky.) May 28, 2015 —Three local schools will receive grants from Baptist Health Paducah this fall to launch Project Fit America, a fitness program aimed at reducing childhood obesity. Photo of the Day: KPREP Kickoff! 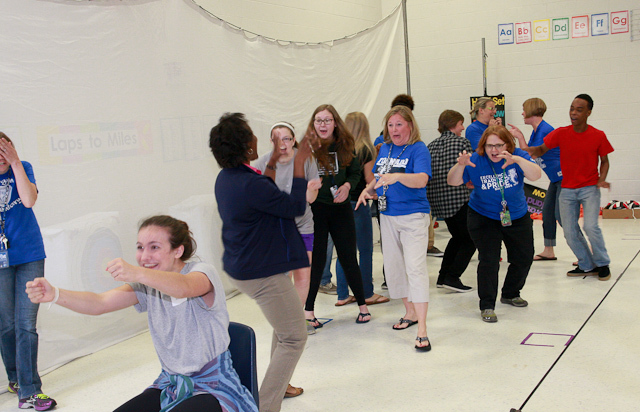 Morgan teachers joined the PTHS speech team for some improvisational fun at Morgan's KPREP kick-off event this morning. Good luck to all our students who will be testing this week. Current fifth grade (rising sixth grade) students who will be entering Paducah Middle School in August, 2015 will need a physical exam and vaccines to complete the necessary requirements for school. 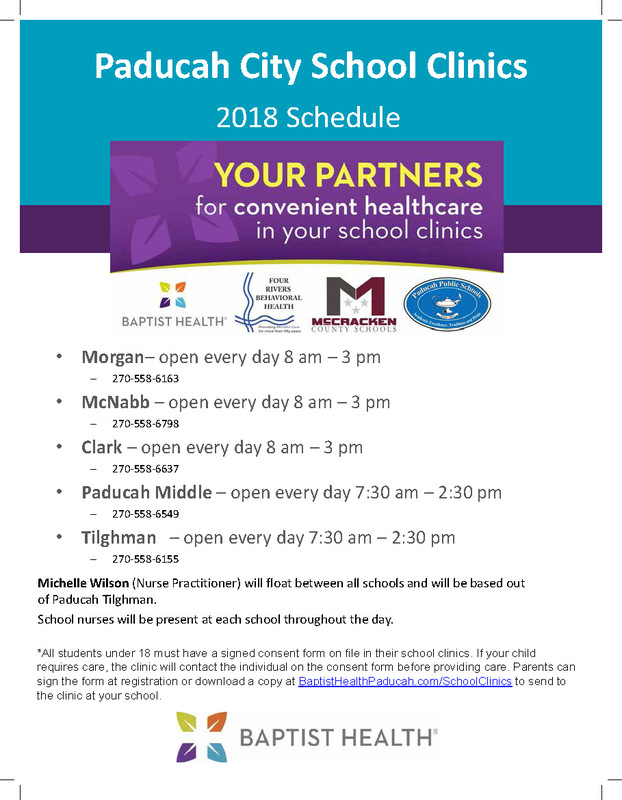 If you are unable to schedule the exam with your primary care provider or the Paducah-McCracken County Health Department, please consider Mercy Health Morgan, the School-Based Health Clinic located at Morgan Elementary School. 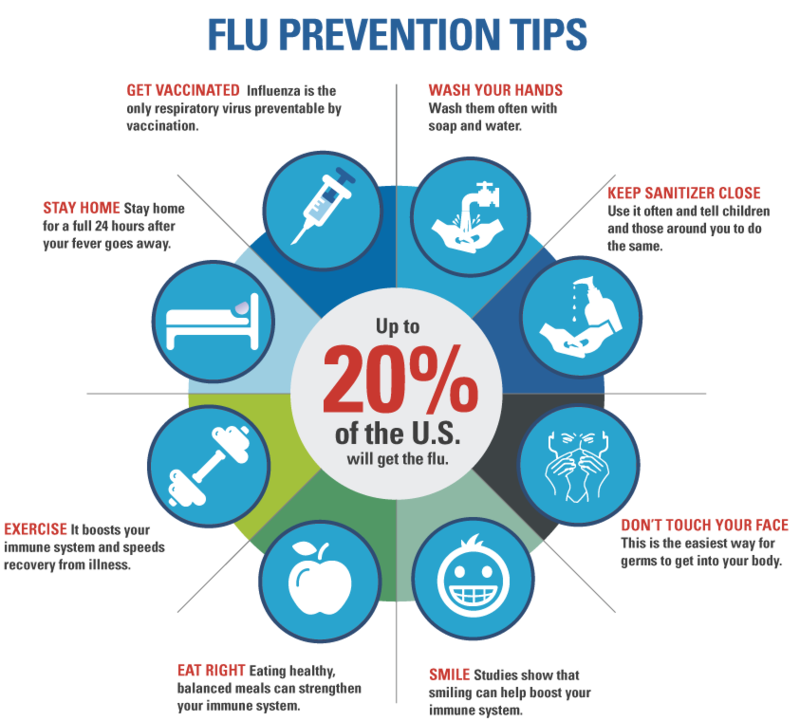 Clinic hours are 7:30 a.m. – 3:00 p.m. Monday and Tuesday, along with 7:30 a.m. – 12:00 Noon every other Friday. After hours appointments can be arranged if needed. The clinic will remain open until June 12th and will reopen for the Fall semester on July 27th. Paducah Kiwanis Club members presented a bike to Morgan 3rd grader Tevin Garnett, the Morgan "Read to Ride" winner for the fall 2014 semester. The calendar for the 2015-16 school year has been approved. 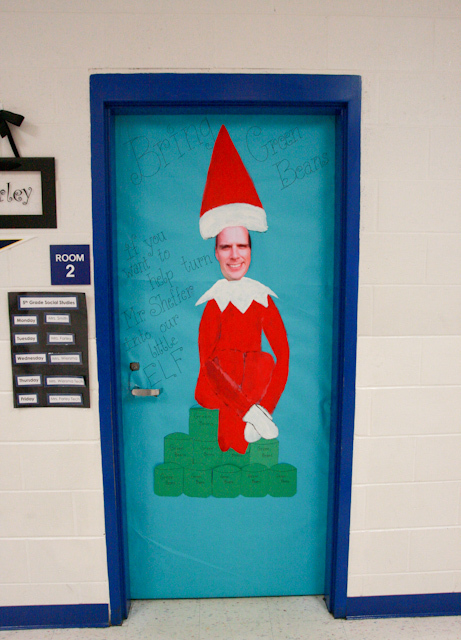 Photo of the day: Mr. Sheffer as an Elf! Photo of the Day: Elf on a Shelf? Morgan Assistant Principal Chris Sheffer has promised to dress up as a Christmas elf if the students of Morgan Elementary donate 1000 cans of green beans. 700 cans have been donated so far, so we're optimistic that we'll see Mr. Sheffer in a elf suit soon! Don’t forget the Kindergarten, First and Second Graders and Choir will be performing their Christmas Concert at PTHS Auditorium on Tuesday, December 9. 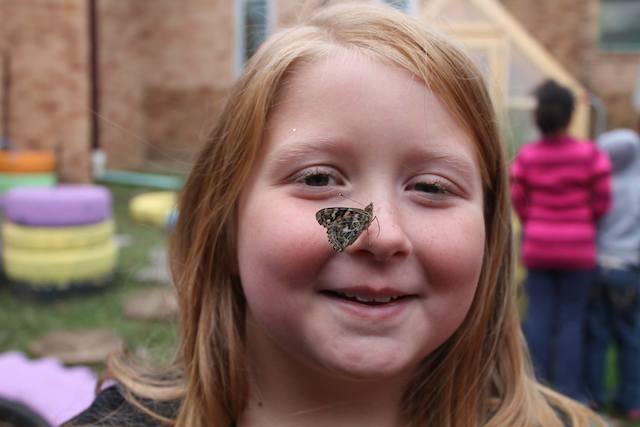 It begins at 6:00 p.m.
Photo of the day: Butterflies Alive! KPREP scores in the areas of student achievement and non-duplicated group gap showed upward trends when compared to scores from 2011-12 and 2012-13 for Paducah Public Schools, but a decline in the area of growth had a negative impact on overall scores. PTHS and Clark were classified as “proficient” while Paducah Middle, McNabb, and Morgan were classified as “needs improvement” according to the 2013-14 KDE Report Card. Prince Charming will once again sweep Cinderella off her feet in Tilghman’s production of Rodgers and Hammerstein’s Cinderella on Saturday and Sunday, November 15th and 16th. On Saturday, November 15th, there will be a matinee at 2:30 p.m. and an evening performance at 7:00 p.m. On Sunday, November 16th, there will be a matinee at 2:30 p.m..
Photo of the Day: Calling All Storytellers! PTHS speech team members visited Clark, Morgan, and McNabb elementary schools today to tell stories and read books to celebrate National Storytelling Week.Thanks to the following team members who participated: Ella Bailey, Micheal Hassel, Michael Ellen Walden, Reagan Davidson, Caroline Meiners, Tristen Miler, Lakyn Fulton, Jack Daniels, Palmer Stroup, Meg Hancock, and Claire Kelly. 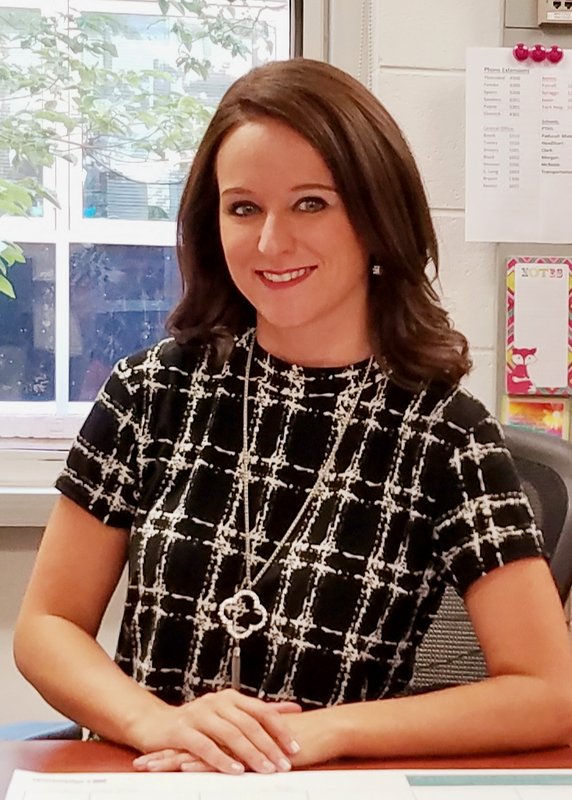 When Tennille Rushing of Mercy Pediatrics sat down with McCracken County and Paducah school administrators last October to discuss opening two school-based health centers, she had one request. "Give us your biggest challenges," she told them. The PTHS Varsity Cheerleaders will be hosting a Mini Tornado Cheer Clinic for all elementary students on Saturday, September 6th from 9:00am to 12:00pm. Grades K - 5 are welcome to attend. Registration fees will go to support the PTHS cheerleading squad. For Career Day at Morgan Elementary, students wore outfits that represented what they want to be when they grow up. Kindergarten student Amari Martin has a big goal: he wants to be president of the United States. You've got our vote, Amari!